This gallery of equipment images is designed to help you identify common types of hydraulic-operated excavators, both past and present. 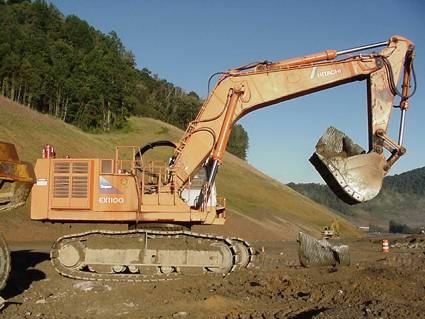 Hydraulic backhoe: Hitachi EX1100-3. Hydraulic cylinders move the bucket, the stick to which it’s attached, and the boom through their range of motion. This large backhoe is used in heavy digging.